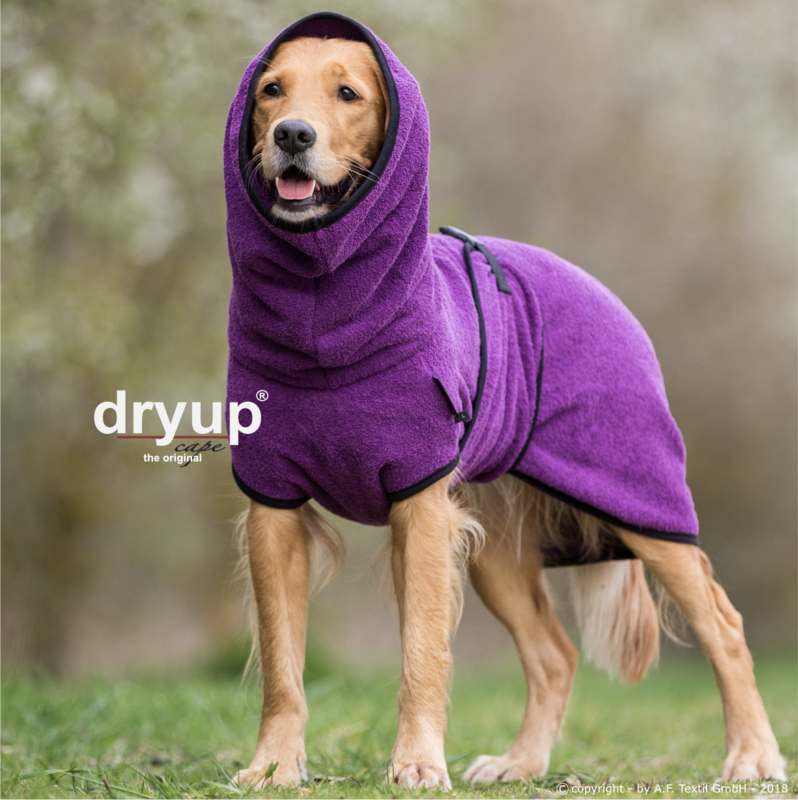 DRYUP Cape – perfect after a dip in the sea or a rainy day | Rocky's Pet Care - We love pets! The Dryup Cape is made of 100% cotton terry. Due to the typical large loops, the surface of the fabric is increased enormously and the tissue has so much more volume than all other types of tissue! In addition, the “natural fiber” cotton stores moisture directly in their fibers and thus transports the moisture away from the dog’s coat. There is nothing better than a high quality 100% cotton terrycloth to dry the dog and release moisture. The dog does not sweat and still dries quickly! He can lie down anywhere and nothing gets wet or dirty. Pull the cape over the dog’s head and pass the abdominal bib between the front legs, covering the chest and abdomen. With the practical buckle closure on the bib you can adjust the body circumference individually. The long turtleneck also allows for drying of the neck.